VW LT 1996-2006 ULTI Bars X 2 ROOF BARS BY VAN GUARD. 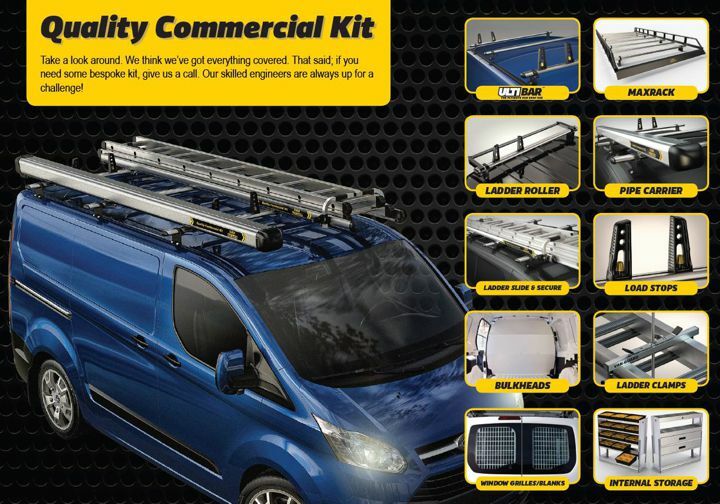 Introducing the revolutionary new roof bar system from Van Guard! These class leading roof bars offer flexibility and affordability without compromising on the appearance of your vehicle. FREE LOAD STOPS AS STANDARD! 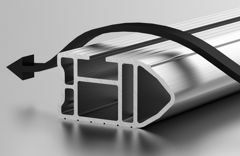 ULTI bars made from anodised aluminium so won’t corrode. Range of roof accessories available to fit state-of-the-art T-track – load stops, eye bolts and beacon brackets. 10% stronger – each bar can now carry up to 55kg. Additional accessories available on request please call for details. Load carrying capacity - 55kg per bar distributed evenly to the maximum load carrying capacity (refer to vehicle handbook). This product is for the VW LT 1996-2006 HIGH ROOF H2 models only. Approximate fitting time 40-45 minutes. Designed to utilise the vehicle manufacturers’ mounting points. No drilling of the roof is required to fit this product. Maximum load is in accordance with the vehicle manufacturer’s load bearing capacity (refer to vehicle handbook). Click the button below to add the VW LT 1996-2006 ROOF BARS - high roof (H2) 2x HD ULTI bars to your wish list.